Leonard Hall Junior Naval Academy provides Southern Maryland with graduates who have become leaders in the military, business, and the community. – boarding schools therapeutic and boarding schools with therapy. 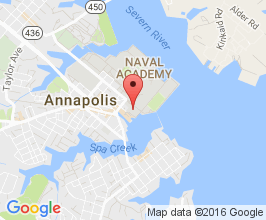 Leonard Hall Junior Naval Academy has proudly been a part of Southern Maryland for over 105 years. Providing an academic atmosphere of excellence, discipline, leadership and honor. Our midshipmen graduate with unparalleled preparation to face the challenges of their young adult lives. Our school fosters a family atmosphere centered around each student providing them with individualized attention so they can work hard, reach their potential and succeed. Leonard Hall Junior Naval Academy is a partnership of students, families and staff: striving to achieve the full potential of each student in order to promote a lifetime of success. We are dedicated to fostering an environment of high moral standards, academic excellence, personal motivation and self-discipline through a military based program. Our strength is our ongoing ability to improve our program while remaining focused on our vision, purpose and strategies. Since 1909, Leonard Hall Junior Naval Academy has provided Southern Maryland with graduates who have become leaders in the military, business, and the community. Leonard Hall opened it’s doors on September 19, 1909. The school was established on the Loker Estate that had been purchased by the Jesuit Fathers. Leonard Hall, named in honor of Leonard Calvert, became the first Catholic school for boys in the original Calvert proprietary. The main focus in the early years was agriculture and in 1941 the school adopted a military program. It is currently the only military academy in the state of Maryland. Today the school is flourishing with a non-denominational Christian, co-educational, military, college-preparatory program. The school proudly maintains high academic standards and instills the discipline, respect for authority, self-confidence, and leadership, which the Xavarian Brothers initiated over 100 years ago. Should you need help finding schools for troubled teens, teen challenge schools, and alternative schools please let us know. Military schools offer structure, mentorship and a safe environment that limits distractions and temptations that can detract from academic and personal progress. Still, military schools are not always the right choice for every young person. While military schools offer structure, and academic and athletic discipline in a controlled environment, military schools are not intended to act as a rehabilitation program. Military schools want students who wish to prepare themselves for a future in a collegiate, military, or professional setting. Leonard Hall Junior Naval Academy provides Southern Maryland with graduates who have become leaders in the military, business, and the community.